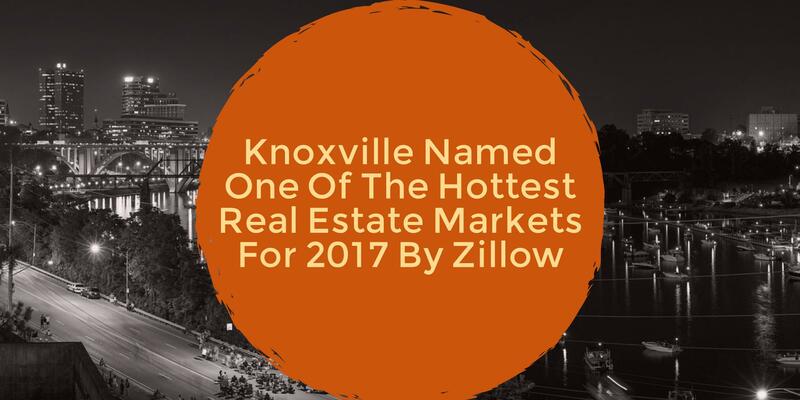 Knoxville has been named one of the hottest real estate markets for 2017 by Zillow, ranking number 7 on a national list of cities. In order to determine which cities are poised to be some of the hottest in the country, Zillow looked at a number of factors including low unemployment rates, strong income growth, and rising home values. Based on these factors, Zillow predicted the hottest real estate market in the country. Based on those rankings, Knoxville was ranked #7 on the list, with the top city in the country being Nashville. Zillow’s predictions noted that Knoxville currently enjoys a low unemployment rate of 4.7%, with a forecasted income growth of 1.1%. Homes in Knoxville are expected to appreciate by 4.4% in 2017. All of this combined is expected to make Knoxville one of the strongest real estate markets in the country this year. Knoxville is home to many employers including Y-12 National Security Complex, Oak Ridge National Lab, University of Tennessee, Bush Brothers, Scripps Networks, among many others. In addition, with a low cost of living and no state income tax, Knoxville is a city that is extremely affordable. This is not the first time that Knoxville has topped a national ranking list in recent years. In 2014, Knoxville was named one of America’s most affordable cities by Forbes. In 2015, Knoxville was named one of the Best College Sports Towns, ranking #2 on the national list and was also named one of the Best Cities To Relocate To By The Huffington Post. Last year, Knoxville was named one of the best cities by Travel + Leisure, ranking number 8 on the national list. Are you thinking about buying a Knoxville home in 2017? Please let us know if there is any way that Knoxville Home Team can assist you. Rick can be reached at 865-696-9002 or via email at Rick@KnoxvilleHomeTeam.Com. Kati can be reached at Kati@KnoxvilleHomeTeam.Com. Also, be sure to check out our Knoxville Home Search Page.